Remember me? I know...I have been MIA for way too long. But work and traveling got in the way and life was, well, life. Plus, I was just in a blogging rut. But I am hoping to get back into the swing of things for a stellar 2019! So be prepared for a bunch of reviews of older collections in the future as I get through my back log of polishes. Let's take a look at home new beauties for the holidays from Whimsical Ideas by Pam. 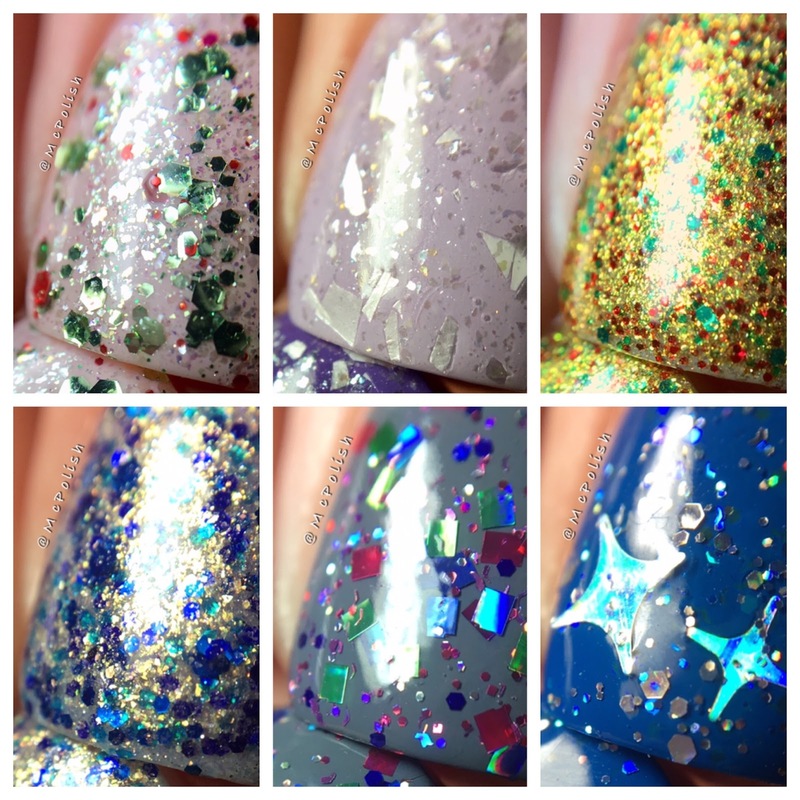 There are some very cute glitters in this collection. Some can be worn as full manicures and other need undies. Only one of them screams Christmas but the rest are great for year round wear. 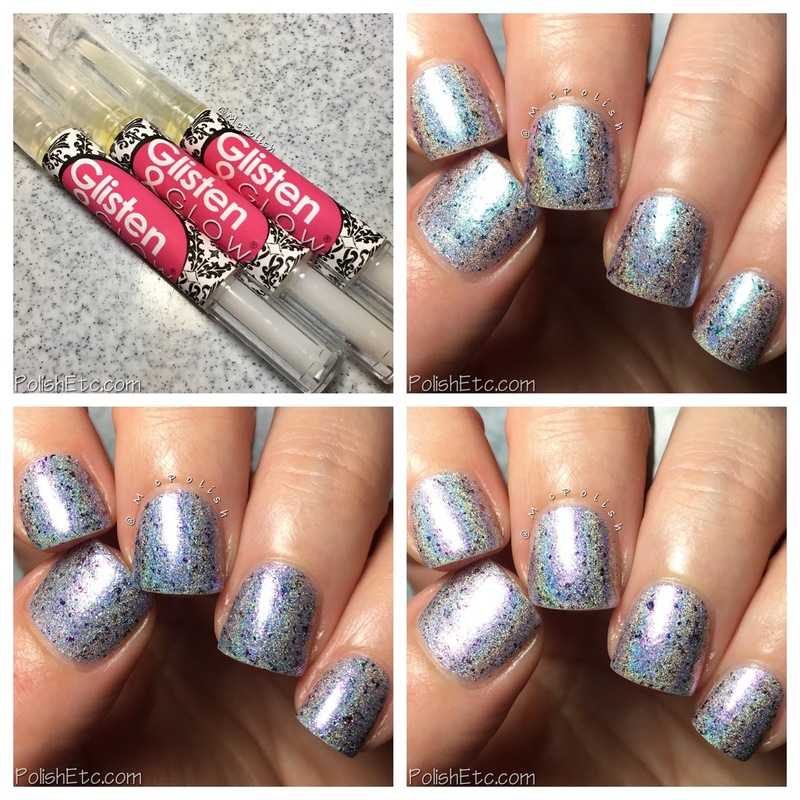 I have some delicious looking holographic from Glisten & Glow to share with you today. They have just released the first part of the Oceanic Overtures collection. This month, we have a nice trio of liner holos packed with shimmer and flakies. Along with the trio, there are also new scents in their cuticle oils available. Yum! Let's take a look at all of the rainbows! As you have probably noticed, I had an extended break from nail polishing last month. It really wasn't planned or intended but needed. But I am back to share with you a new collection from Cupcake Polish that released today! I hope to bring you even more collection reviews and nail art to round out the summer. The Radioactive Collection consists of six new shades with flakies and holo and bright colors to end the summer on a high note. Let's take a look! I hope you are all enjoying the summer! 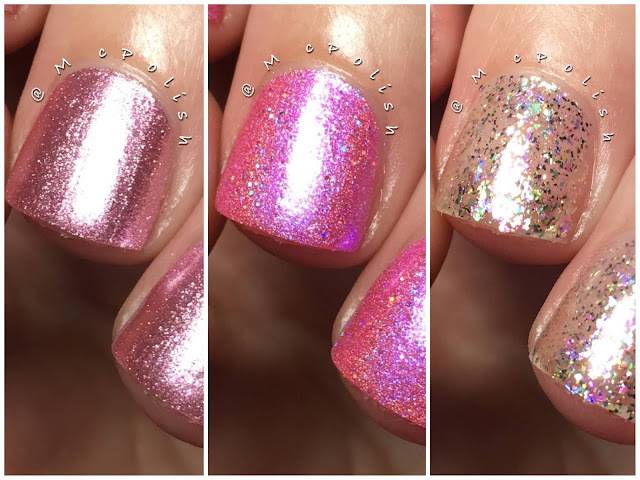 I have a sweet little trio from Cupcake Polish to celebrate their 5th anniversary to share with you today. This limited edition trio launches today and will only be available through the month of July. 5 years is a long time for this indie nail polish world. Congrats to Sara for creating amazing bottle of sunshine for all these years! Let's take a look at the new pretties. I am back from Polish Con and I have to say it was a blast! It was a little bit different for me this time around because I was working at a booth instead of being a attendee. so I didn't get to wander around and look at other maker's booths as much as I would have liked to. But I did get to meet a ton of people as they came up to our table. Plus, music and food in NYC was awesome as per usual. You know who had an epic booth? 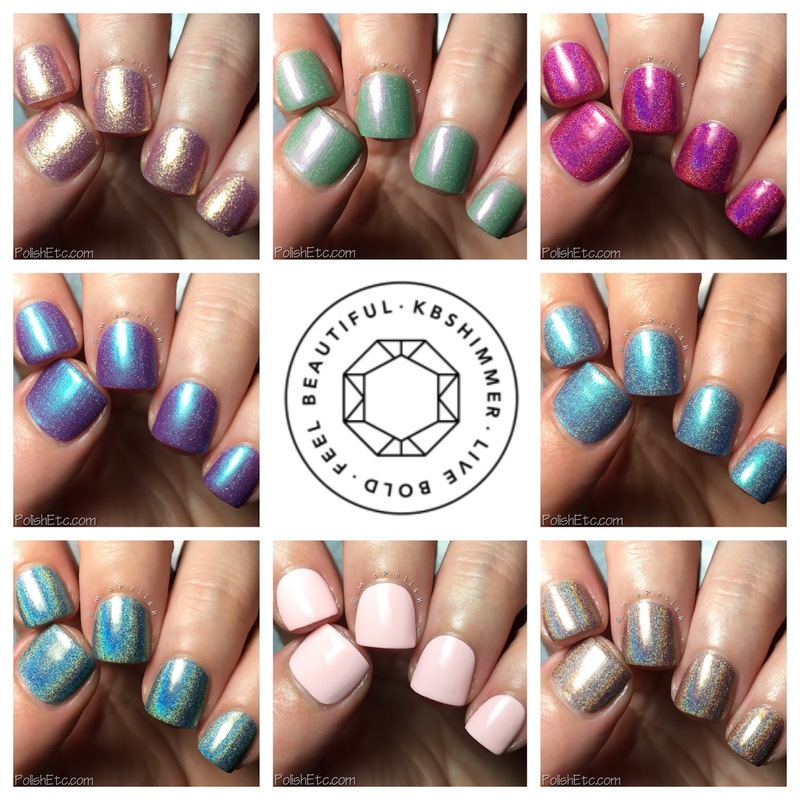 KBShimmer, that's who. The new branding looks so cool and sophisticated. The new holographic logo is perfection. And the new collection was looking bright and summery amongst the black boxes. 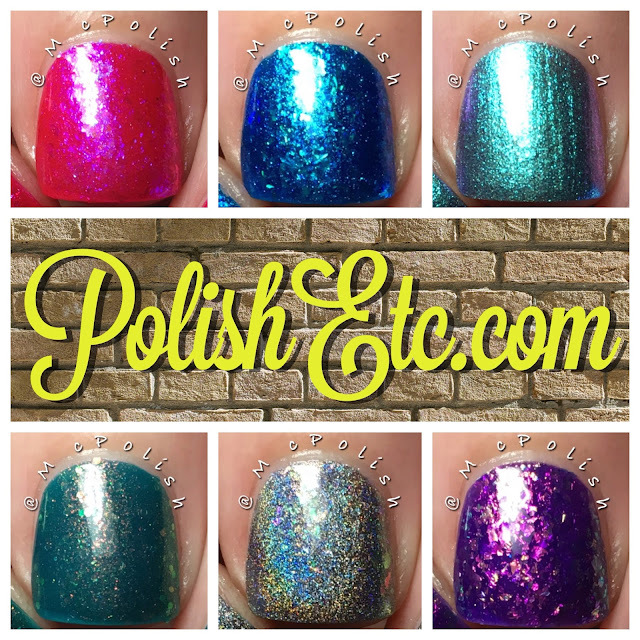 The Wanderlust Collection launched on Friday and at Polish Con. It is a lovely group of shimmery summer shades that are a welcome departure from typical summer neons. I am in love! I hope you are, too.